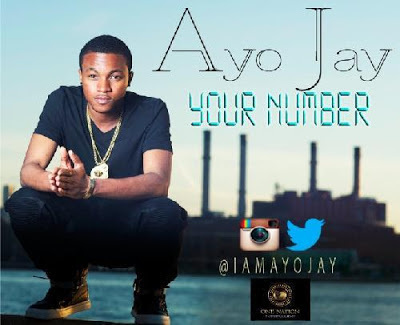 It's Just Mobolaji | Music & Entertainment: Introducing... Ayo Jay + New Single "Your Number"
Introducing... Ayo Jay + New Single "Your Number"
It's been a minute since I've introduced a new Afrobeats artist to It's Just Mobolaji! The latest addition is Ayo Jay with his new single "Your Number"
Ayo Jay is the latest Afrobeat artist to have hit the scene and has debuted his brand new single "Your Number". The artist who was born in London then raised in Lagos, Nigeria and furthering his studies in the United States found a passion for music during his spare time. Jay found himself writing songs, listening to music, and all that jazz and now the recent Economics graduate has signed a record deal with One Nation Entertainment. "Your Number" has a very catchy hook which I'm sure people will catch onto the lyrics fast. Ayo Jay also shows off his songwriting skills with this new single produced by Melvitto. Ayo Jay is a promising act and is sure to receive a warm welcome from Afrobeat fans and lovers throughout the world within due time.